This page is about extented (undocumented) capabilities of the ECI Telecom-Group Inovia Telecom Hi-FOCuS™ ATU-R shipped by Deutsche Telekom AG, France Télécom and others to their DSL-customers. An ECI-model-designation for a network-access-system, incl. a Digital Subscriber Line Access Multiplexer (DSLAM) . The device placed in the Central Office that accepts all the DSL lines. stands for ADSL transmission unit – remote . 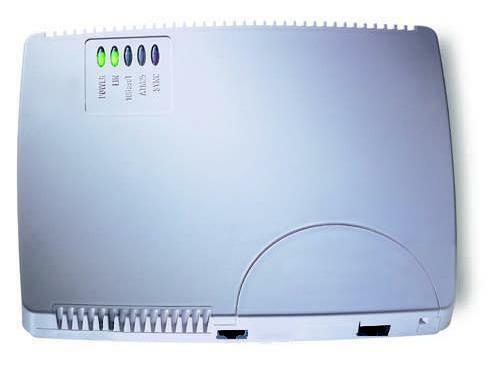 This device is the ADSL modem that sits on the customer side of the telco copper loop. It is a self-contained box suitable for customer use, including an AC adapter for powering. Strange enough the package-label is mixing up some digits reading 401918284EA or MNr 40 189 186-091 , LimNr Y57177 and a S/N 0011737457 . The unit uses WindRiver VxWorks RTOS that has its own newsgroup. You can also find some archived newsgroup-postings by ECI Telecom there, wether related to this unit or not. The unit answeres ICMP-echo-packets (ping) by a reply. The actual PPPoE-traffic will all be using another MAC-address. This is the Access Concentrator sitting in the exchange. In the case of PPPoE-AC-name HNOX12-erx this is 00-90-1A-10-11-B9 indicating Juniper Networks ERX-(700)/705/(1400)/1410/1440 Edge Routers [multi-brand, due to aquirement: Siemens ICN, Unisphere Networks].